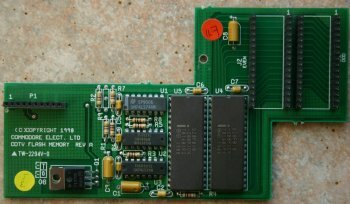 This device was originally designed and supplied to CDTV developers who were members of CATS (Commodore Amiga Technical Support), and was never sold as a consumer product. 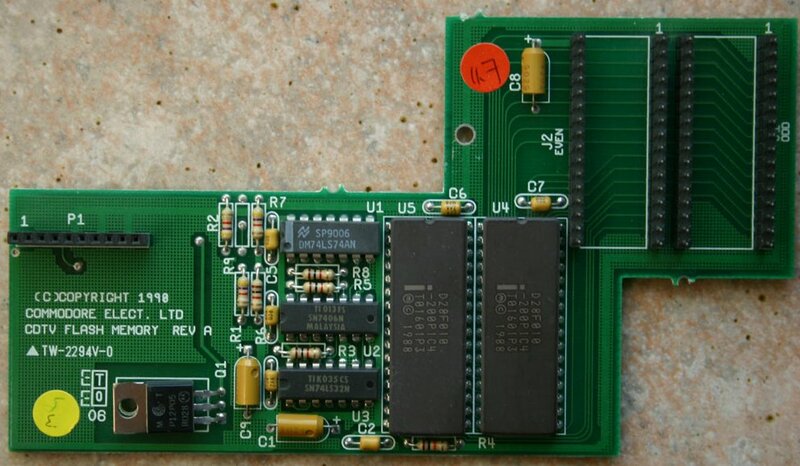 It contains flash memory which allows the CDTV's PROMs (U34 and U35) to be upgraded without having to physically replace the chips each time an update was released. Note, in addition to Kickstart the CDTV has additional ROMs containing extra software and drivers for playing and handling CDs. The update files are contained on a floppy disk which is booted and starts the upgrade process. 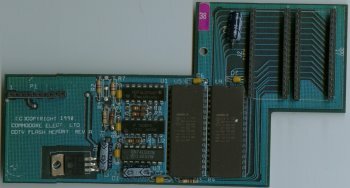 Should the process fail for whatever reason, it's possible to recover by setting a jumper on the CDTV motherboard to disable the CDTV's PROMs. It then behaves much like an A500 would. The flash process can then be started again. 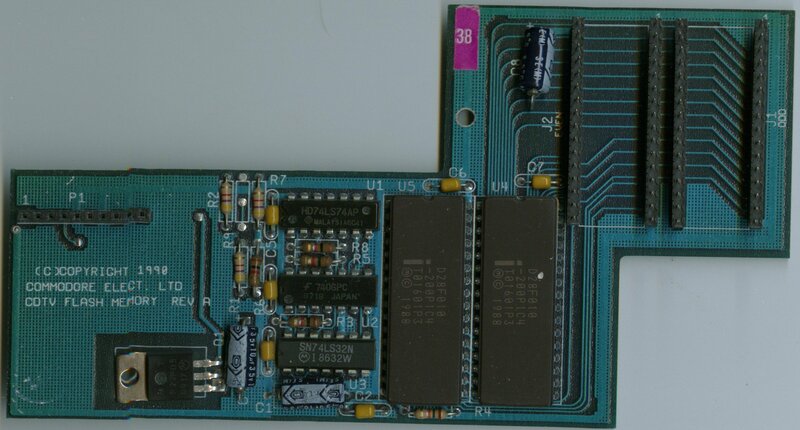 The card is installed in the two ROM sockets labelled U34 and U35, just above the processor and also connects to CN29.